Maine is known for lobster. Memphis is known for barbecue. So why would you go to Maine looking for tasty ribs? That's a question business consultant and author Ken Tanner belatedly asked himself as he tucked into a burnt, tasteless slab of barbecue in Ogunquit, Maine, one summer evening. Every region of the country has its unique signature foods. Likewise, each of us has a "sweet spot"-a signature skill or talent that can fuel your career and raise your paycheck. Why should you settle for a one-size-fits-all guide to the summit? 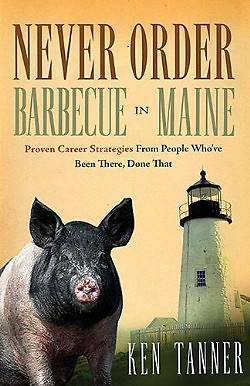 Never Order Barbecue in Maine contains priceless, practical wisdom for your unique journey to a job that brings you maximum satisfaction.